Chris Brown is not letting his short lived beef with Offset die down any time soon. The beef started days ago after Chris shared one of the many memes that were circulating on social media mocking rapper 21 Savage who is facing deportation after overstaying his visa in the United States. Being good friends with 21 Savage, Offset took to CB’s comments to defend his fellow rapper, “Memes ain’t funny lame.” That comment sparked an ongoing back and forth between he and Chris the past few days which included Offset calling Chris a “coke head” and Chris challenging the Migos rapper to a fight. Chris even sent Offset his address advising him to “pull up” which Offset declined, and since then Chris has been trolling him all over social media with memes, and videos poking fun at the rapper. 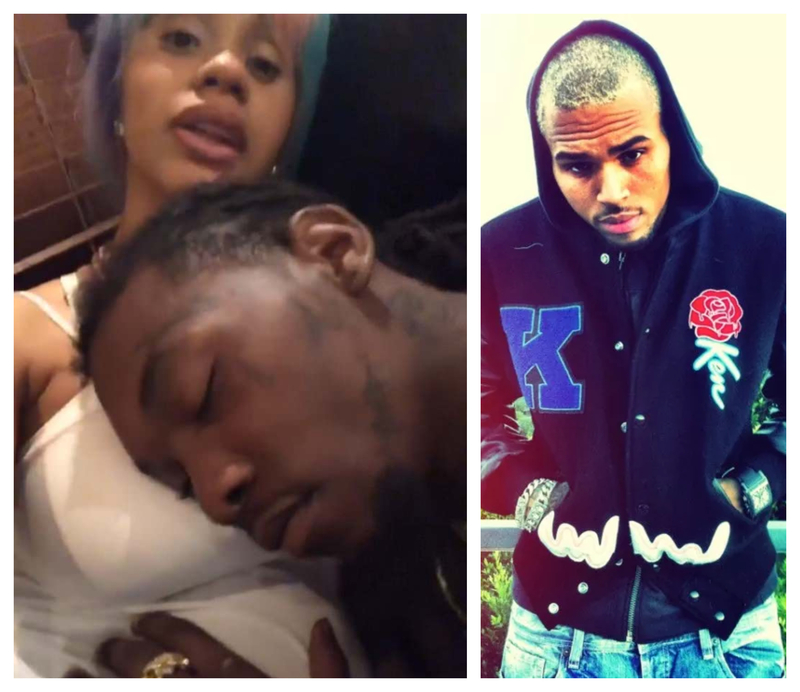 Well Saturday, Chris took it a step further by bringing Offset’s wife, Cardi B into the mix and said that Offset was “scared to fade” with an R&B singer. With the exception of the “coke head” comment which has since been deleted, Offset has remained pretty silent on the matter and not responded to Chris antagonizing him.